Your immune system normally protects you from germs and disease. It helps you to fight off bacteria, viruses, and other tiny organisms that can make you sick. If you have a food allergy, your immune system mistakenly treats something in a particular food (most often, the protein) as if it’s dangerous to you. Your body reacts to the food by having an allergic reaction. 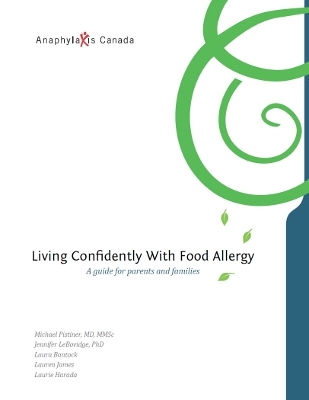 People can be allergic to practically any food, but the most common food allergens are milk, eggs, peanuts, tree nuts (such as cashew), fish, crustacean/shellfish (such as crab, lobster, shrimp), mollusk/shellfish (such as clam, scallops) , wheat, and soy2. These “Major 8”, as they are called in the US, are also common allergens in Canada where they are called “Priority Allergens”. Canada’s priority allergens also include sesame, mustard and sulphite. According to Health Canada, sulphites do not cause a true allergic reaction; sulphite-sensitive people can experience similar reactions as those with food allergies. People with food allergies must avoid coming into contact with foods that cause them to react (e.g. eating, touching). They must also be ready to treat an allergic reaction with emergency medication and get medical help. These terms are used to describe the presence of an allergen that is transferred from one food or object to another. For example, cookies baked on the same tray as peanut butter cookies pose a risk of cross-contamination to someone with peanut allergy. There are different names for written allergy plans, such as Emergency Care Plan and Food Allergy Action Plan. The plan is generally a one page document that gives detailed information about your child’s food allergies. It also includes important information on symptoms, how to treat a reaction and how to get emergency help.